It’s no surprise that as Pokémon Go continues to sweep the nation, you’ll see more and more people playing the popular game around Chicago. Pokémon Go enthusiasts are easy to spot. They’ll have their heads down and phones out, making quick vertical strokes on their screen or even spinning in circles. In a recent Twitter poll conducted by RedEye, which gathered 254 votes, 42 percent of Pokémon Go players said they frequently play while commuting. So whether you’re traveling by train, bus, bike or foot while playing, it’s important to keep these do’s and don’ts in mind. DO: Catch 'em all. I mean, that IS the object of the game, right? 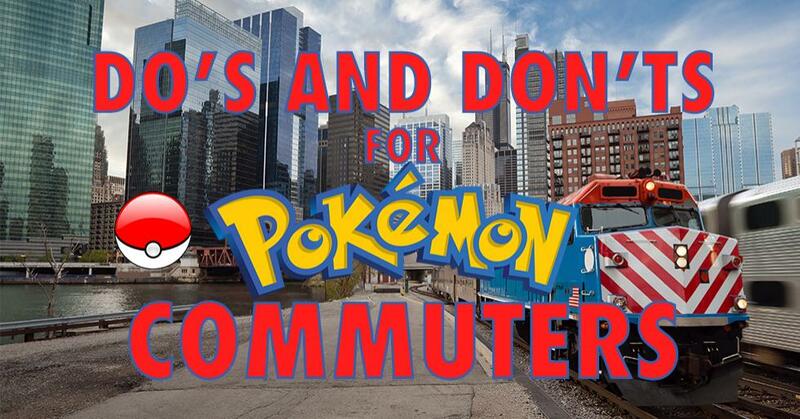 DON’T: Fall on the tracks or wander into traffic because you’re too busy fiddling with your Poké balls. Seriously. Don’t. Click here to see the rest.